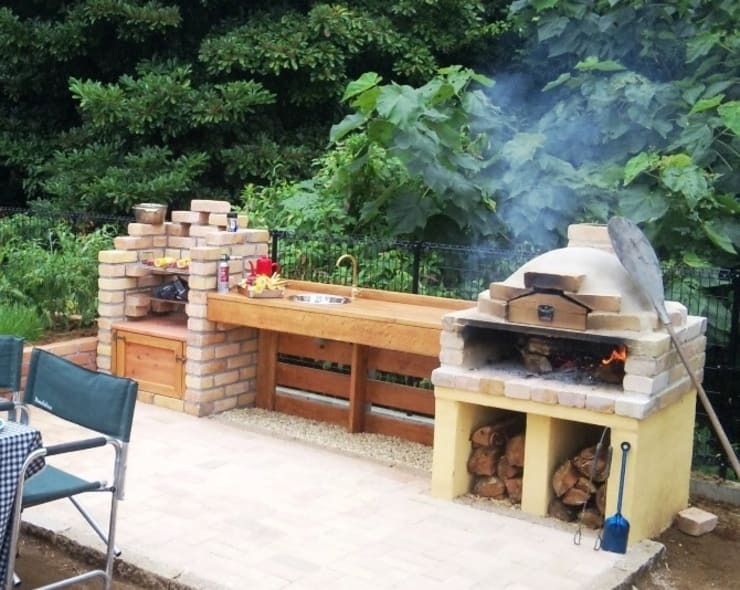 A brick barbeque is rustic and can fit into any corner of your backyard or balcony. 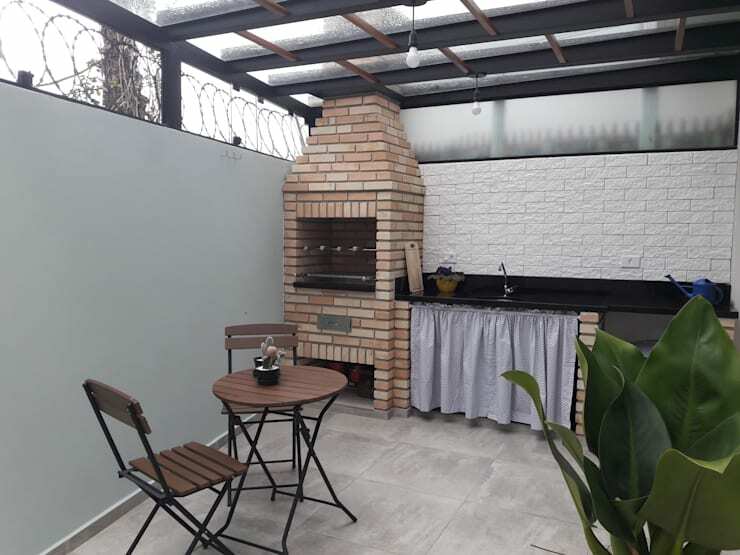 This structure was rendered by the architects at Q2 Arquitetura. 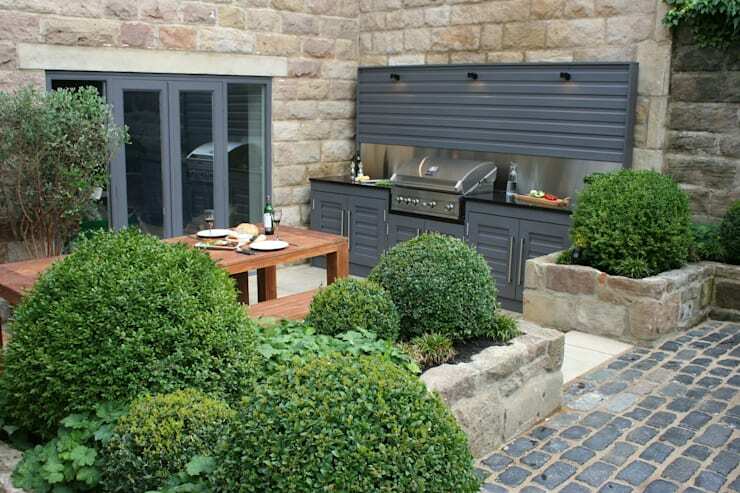 This metallic barbecue in the earthy surroundings adds the perfect contrast. 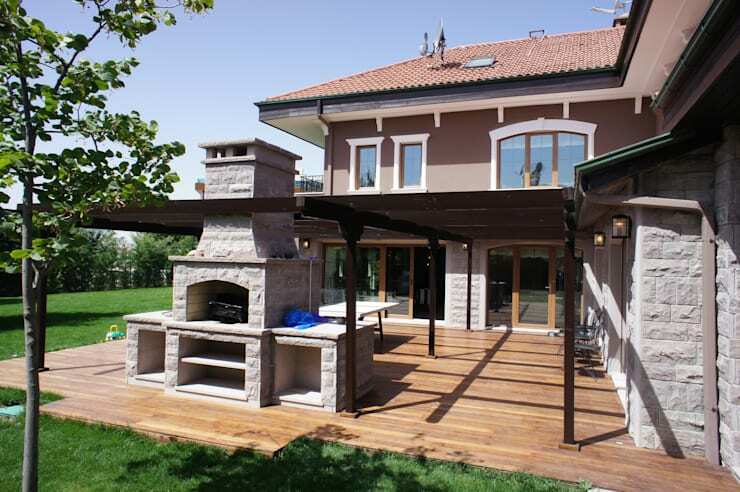 The colours merge with each other to create the right country look. 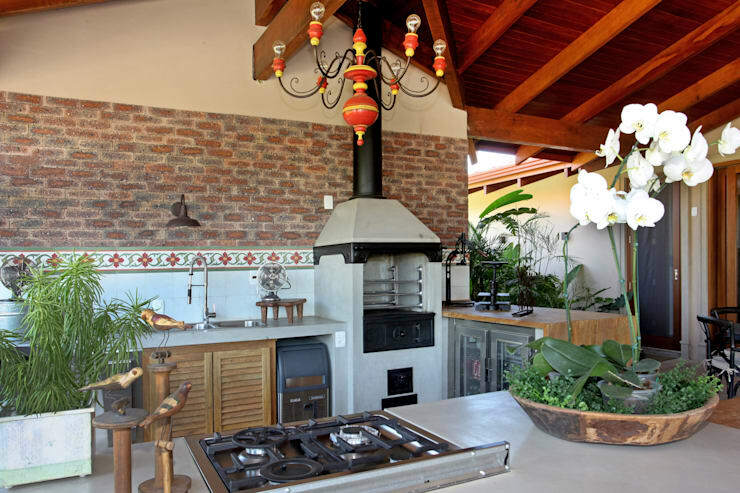 An ornate and old wooden table accentuates the tiled barbeque station and makes it easy to serve your guests. 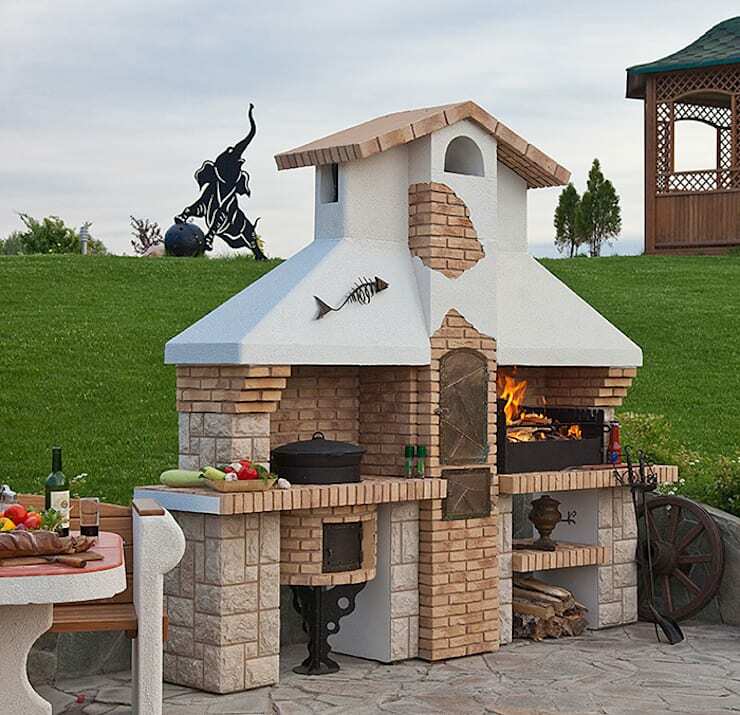 You can customize this brick structure depending on the space available, making this barbecue your very own. 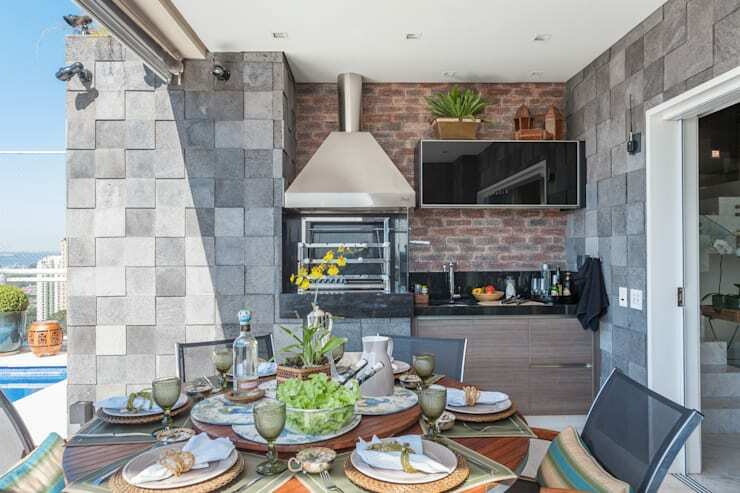 If you have the space, a stone structure will not only look magnificent but also luxurious! 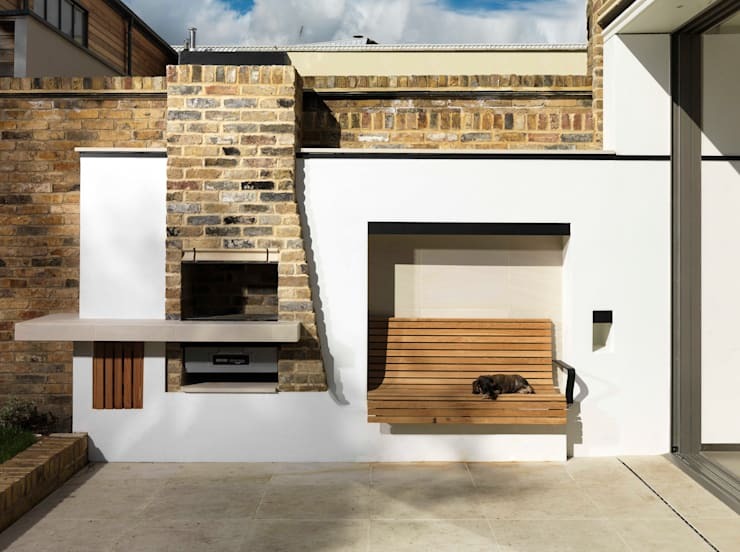 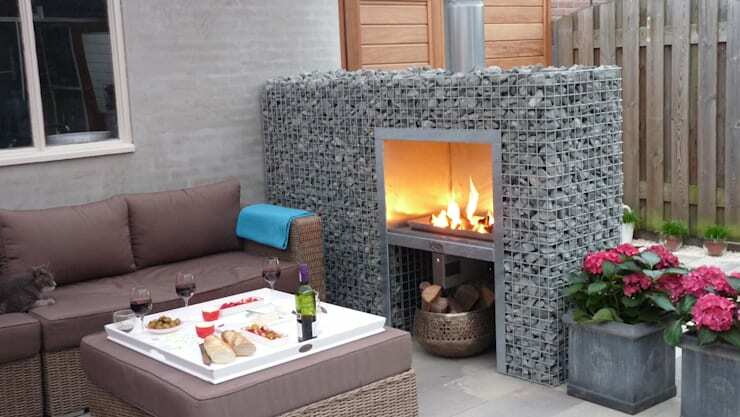 A modern look can be created by adding a mesh which can hold stones to create a barbecue in a small space. 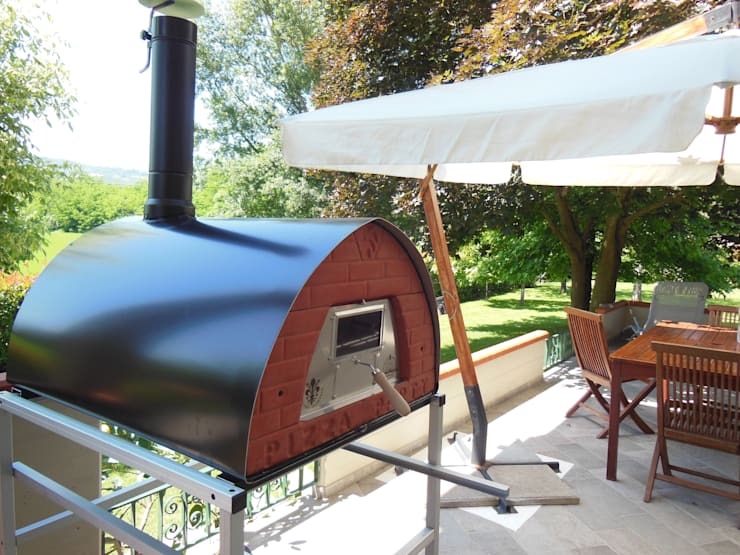 Making a brick oven pizza just go easier with this one! 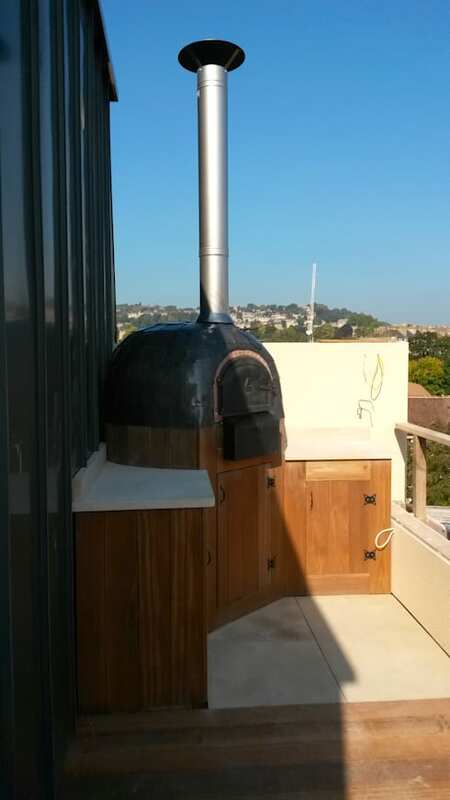 A concrete base, a few bricks, add a metal door if you need and you have the perfect oven. 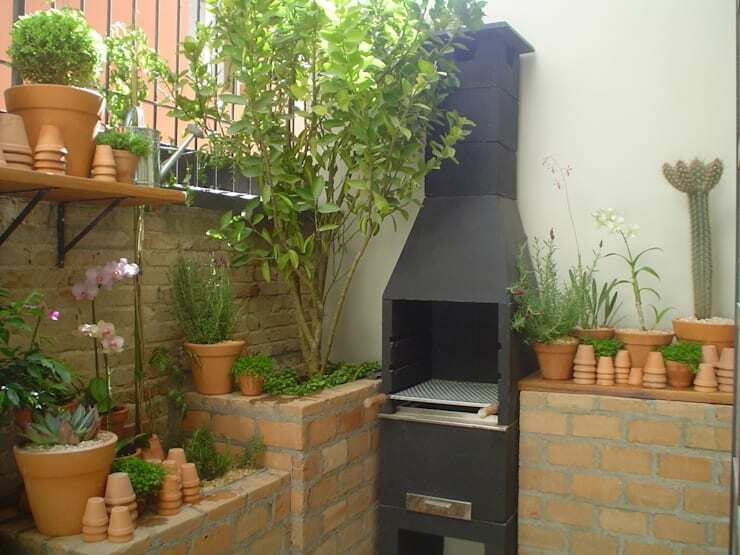 If you do not have a garden, create a small alcove for the barbeque and use the same elements as your kitchen to give it a complete look. 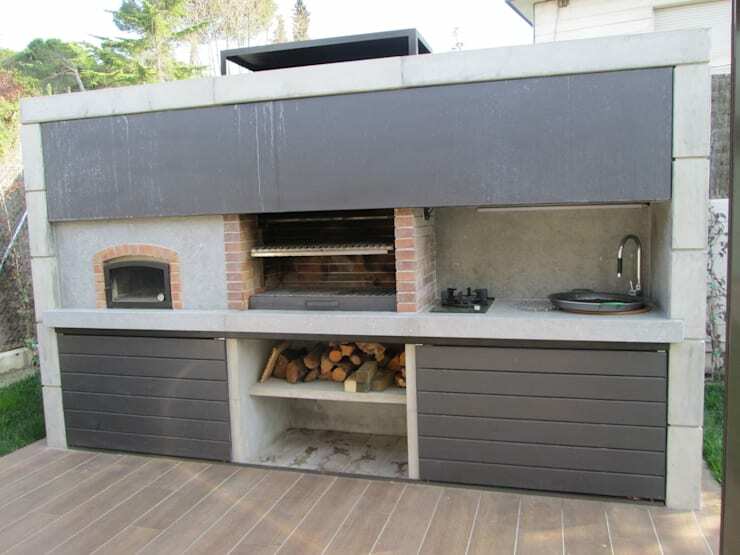 This unique but functional barbeque is etched within the wall, saving space while serving its purpose as well. 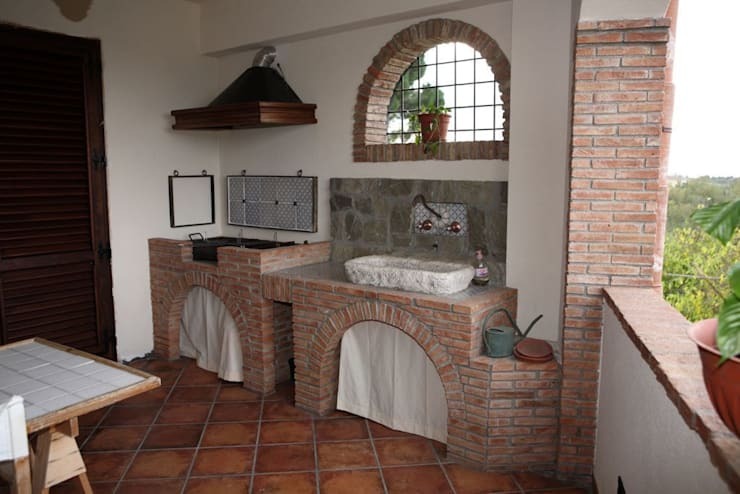 The materials used here are very easy to find making it simple to put together as well. 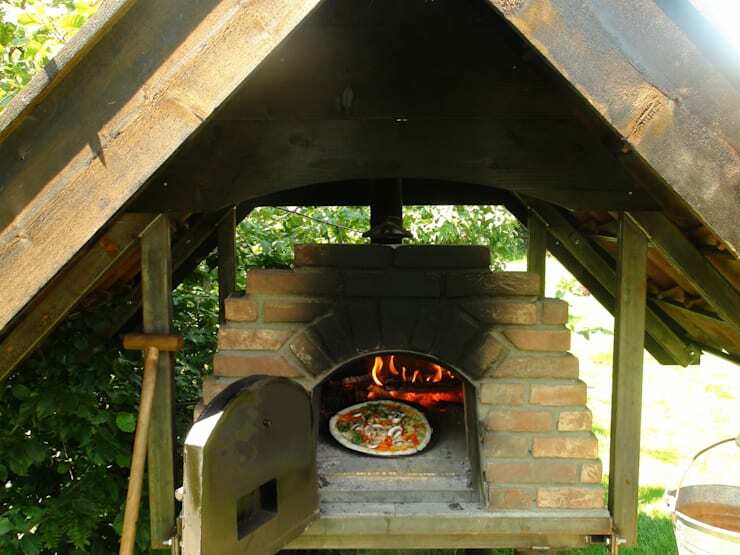 A portable and simple version of a barbeque for those who are really short on space. 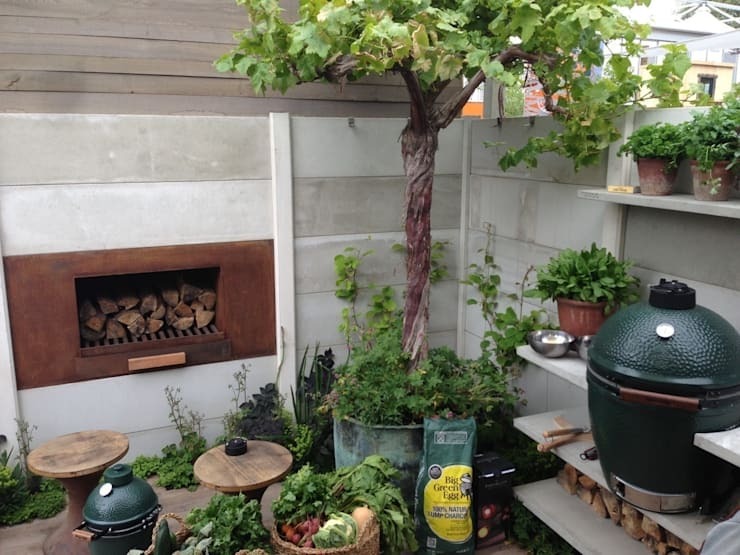 This Green barbeque works well in a garden. 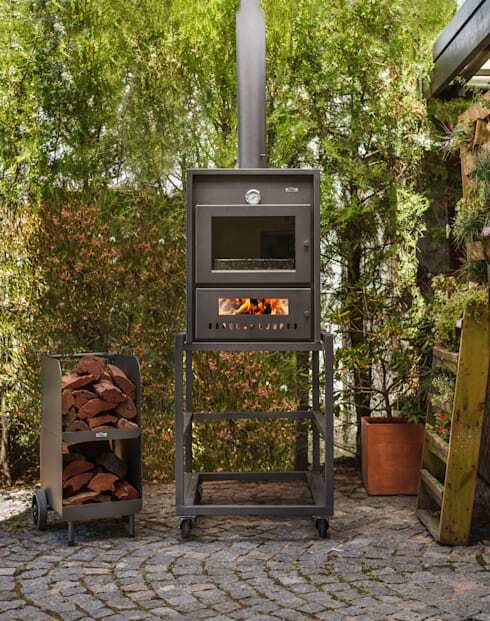 Portable and the size is perfect. 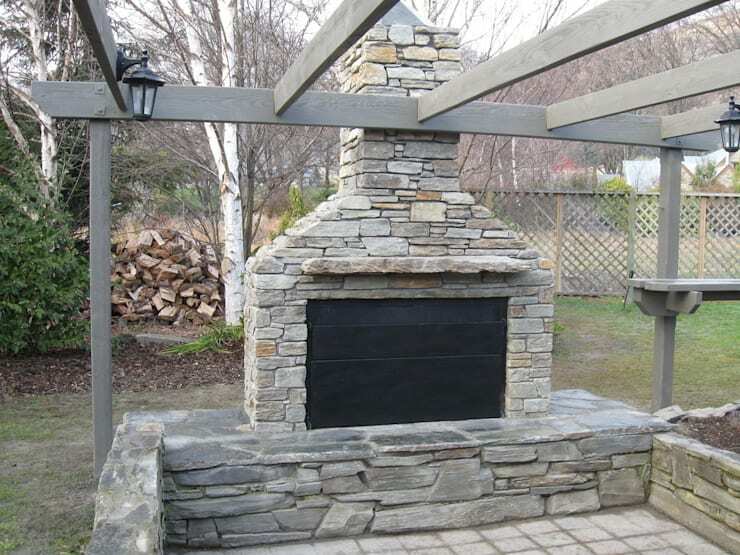 This vertical structure adds height and drama to this pretty earthy garden. 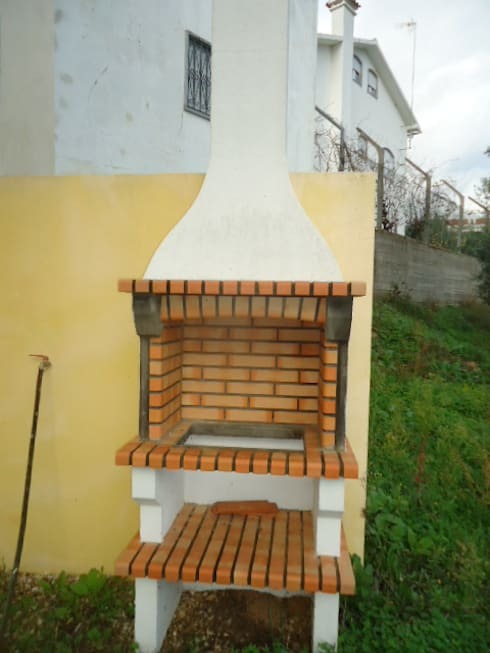 Simple materials such as Clay, metal sheet and a door make an inexpensive barbecue. 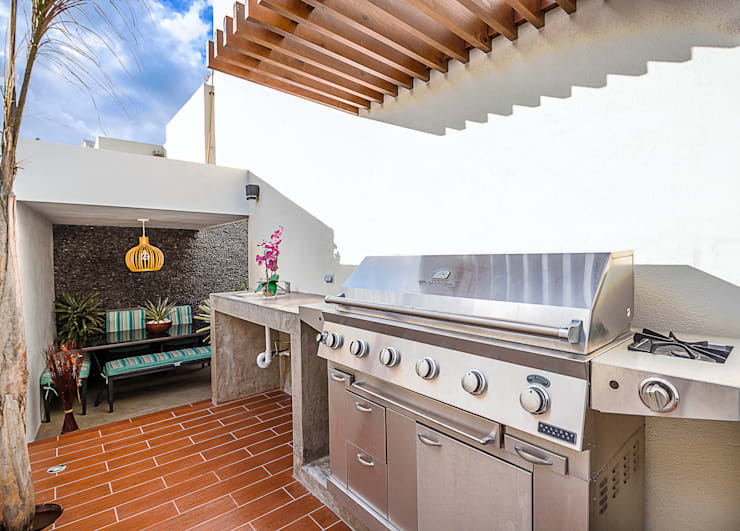 A complete modern Barbeque atop your roof which can be used for long hours as well. 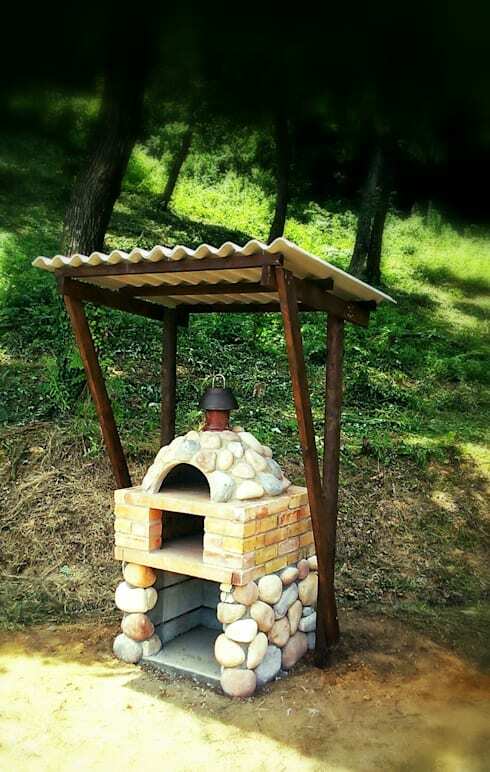 An extremely rustic, almost incomplete barbeque is the closest to nature you can get. 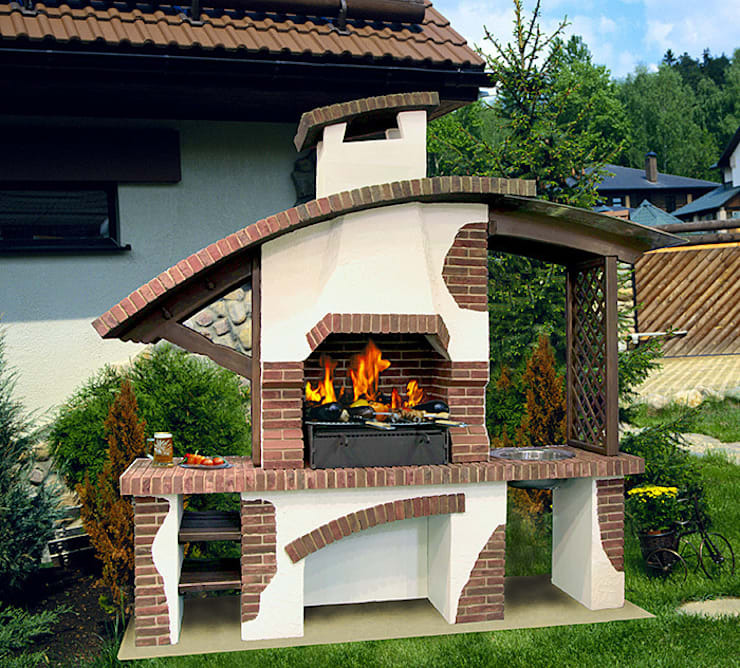 The unit can be used as a stove and a barbeque making it a versatile piece to have in your garden. 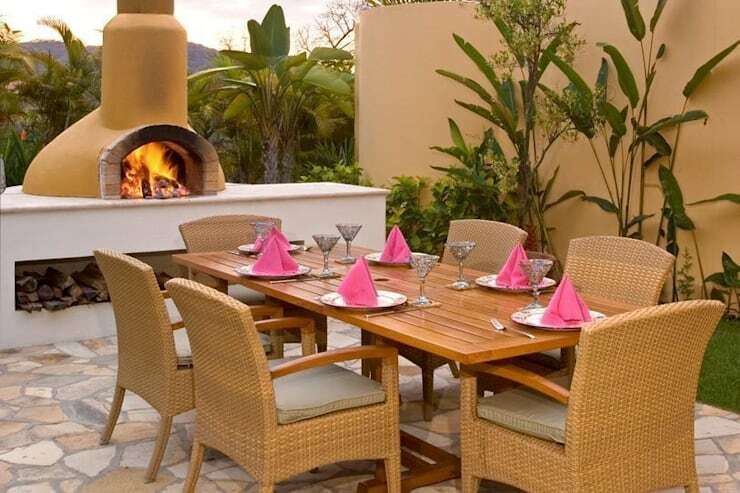 A unique design which matches perfectly with the cane elements in your garden. 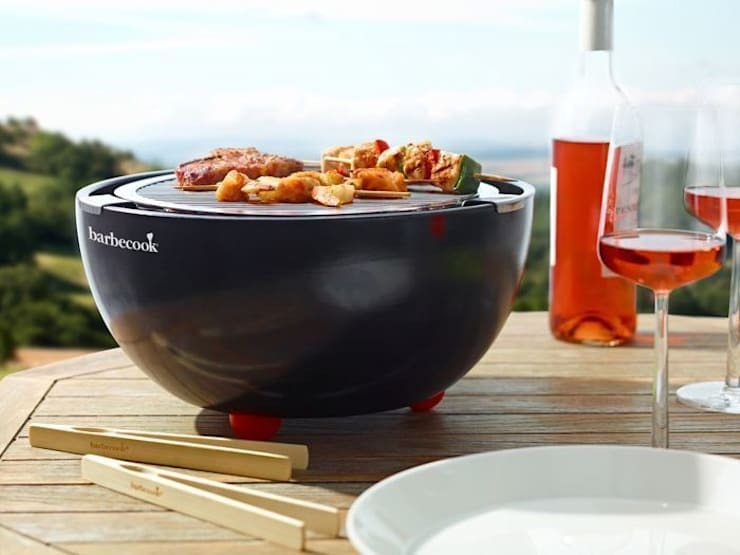 Barbecues cannot get simpler than this as it has just what you need to barbecue and you can get started.